98,80 € + 0,20 € d'éco-part. Quantité : limitée à 1 produits. Dépéchez vous de commander! 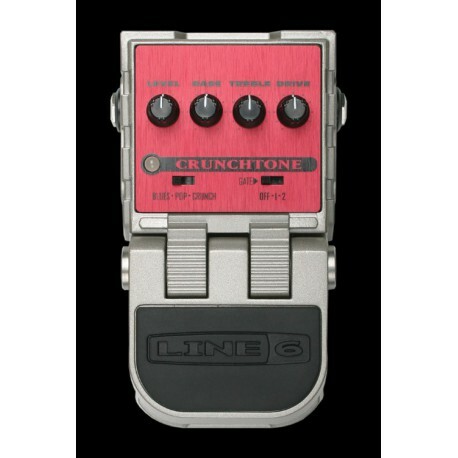 Model Switch - Switching this instantly reconfigures Crunchtone. You get three of the juiciest overdrive sounds this side of Tejas! - Designed to produce a glassy, snappy 6L6-style overdrive tone for playing the blues. - Just the thing when you need a nice, 60?s-style Class-A pop/rock bark. - Gives a punchy, slightly compressed overdrive tone, much like what you'd get from a British-style full stack amp-and-cab setup. Gate - Switching this instantly reconfigures Crunchtone. You get three of the juiciest overdrive sounds this side of Tejas! - A soft and mild noise gate, self-adjusting to your current Drive knob setting (cool, huh?). - A heavy, fast-clamping gate. Great for those aggressive metal chords and palm muting. Level - This sets the output level. 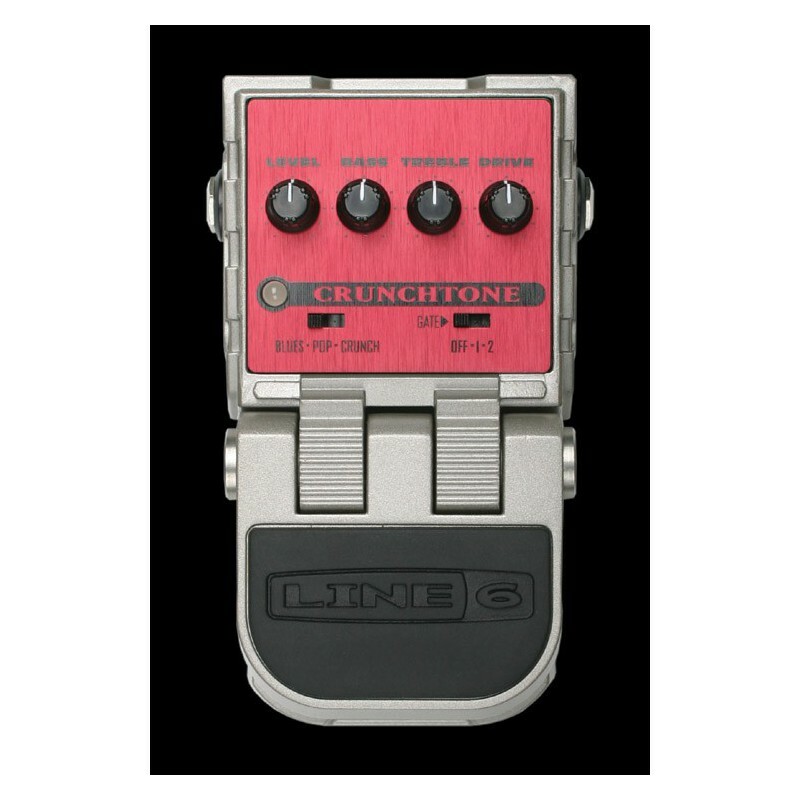 Crunchtone has plenty of output to spare, so if you crank the Level knob, you can score some extra overdrive from the amp your feeding it to. Bass - Add more lows to your sound by turning this knob up, or reduce it by turning the knob down. Point the knob straight up to leave your tone unaltered. Treble - Just like the Bass knob, only it's working the highs. Drive - The Drive knob controls the amount of distortion created within your Crunchtone.